Fire-Dex - Ed Roehr Safety Products Co.
Fire-Dex®, LLC has been in business since 1983, initially producing welding gloves. The company entered the fire service market with our fire fighter gloves in 1984, knit hoods in 1985 and gear bags and suspenders in 1986. Fire-Dex® started manufacturing fire fighting clothing, proximity clothing and EMS clothing in 1988: structural fire fighting gear now represents our largest product line. 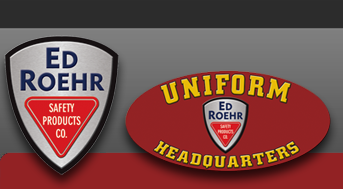 In 2001, we expanded our product line to include Wildland fire fighting clothing, and in 2003, added USAR (search & rescue apparel).